Maailman merkittävin hankinta-alan tapahtuma IFPSM World Summit 2018 starttaa nelipäiväisen seminaarinsa Alihankinta-messuilla 26.9.2018. Tervetuloa! 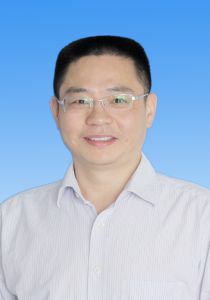 Yugang Yu is Professor of Logistics and Operations Management and Dean of School of Management at the University of Science and Technology of China, PR China (USTC). 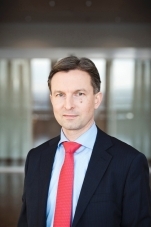 His research interests are in warehousing, supply chain management and business analytics, and business optimization. He has published more than 60 papers in academic journals, including Productions and Operations Management, Transportation Science, IIE Transactions, and so on. His papers have been cited more than 1500 times, and Elsevier ranked him as one of “the most cited researchers in the Mainland of China” in 2014, 2015, 2016 and 2017, respectively. His research results have also been patented several times in China. He received a career development VENI project from the Netherlands Organization for Scientific Research (NWO) in 2007, a distinguished research scholar grant from the National Science Foundation of China (NSFC) in 2012, Yangtze Scholar Distinguished Professorship from China Ministry of Education in 2015, and the first prize of natural science from China Ministry of Education in 2016. Dr Ramlee discusses the opportunity and implications of blockchain as a paradigm to slow/chose the expanding trust gap in commerce. He unpacks blockchain to a level of simplicity to be consumed by those that are just starting to understand and explore the paradigm. He lays out a current state of commerce, suggesting that every company is currently at risk of being disrupted or incurring severe strain from a blockchain version of itself. 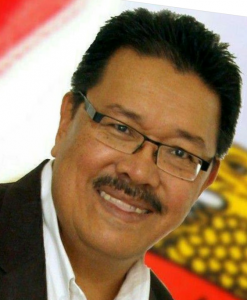 Professionally, Ramlee is a retired c-level executive at several Fortune 500 Companies, a social entrepreneur, the founder of multiple agribusiness ventures, an experienced keynote speaker, a member of advisory boards, and a recognized thought leader in the area of supply chain design and management. Dr Ramlee is Singaporean by nationality but now lives and works in Indonesia. He is an early adopter of information technology and was instrumental in the design of Dell’s well-known ‘Merge-in-Transit’ and ‘Direct Fulfillment’ logistics models. With his hands-on experience harnessing disruptive technologies as it unfolds, he know talks about the Next Big Thing. Tilaisuus on maksuton mutta vaatii ennakkoilmoittautumisen. Lisätiedot Jussi Peltola, p. 040 779 9753, jussi.peltola@logy.fi. Seminaarin järjestää Suomen Osto- ja Logistiikkayhdistys LOGY ry.